Nothing wasted, everything can be reused. The idea isn’t new, but Origins are now allying it with their own ambitions. The brand - part of the Estée Lauder group - will be launching a vast recycling project in the USA, starting with the empty cosmetics containers brought in by their clients. 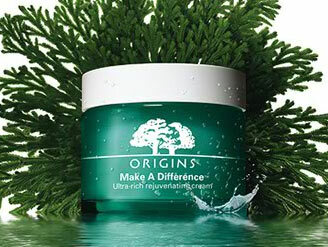 With the “Return to Origins” recycling program the brand will be taking empty containers from all cosmetic products, whatever the brand. From March 29 the 450 Origins boutiques in American as well concessions in department stores, except Nordstrom, will be collecting empty containers to send to a recycling site to be sorted. What can be recycled will be reintroduced into the production cycle and the rest converted into energy. This is an ambitious project which could well spread to other countries. Estée Lauder Cos Inc raised its annual profit forecast after posting better-than-expected quarterly results on Tuesday, driven by strong growth in China and higher demand for skincare brands such as La Mer. The Estée Lauder Companies announced on Monday key executive changes including the promotion of Philippe Warnery to president of the U.K. and Ireland. Neiman Marcus is investing in the cannabis beauty trend. The luxury department store chain has announced the addition of multiple CBD (cannabidiol) products to its beauty department. Estée Lauder dismissed fears of a slowdown in China as its quarterly results beat Wall Street estimates on Wednesday on booming demand for cosmetics and high-end skincare products in the Asian country.